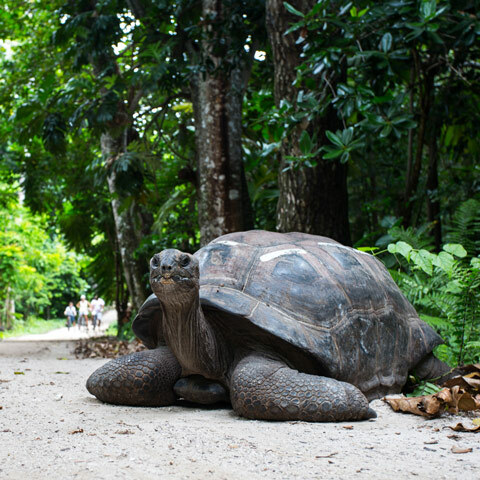 The Aldabra Giant Tortoise (Aldabrachelys gigantea), one of the largest tortoise species on Earth, is endemic to the Aldabra atoll, Seychelles. 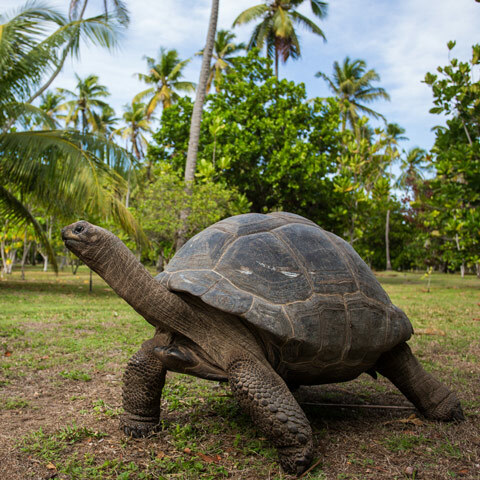 Formerly giant tortoises were found on many Indian Ocean islands but became extinct historically due to exploitation by sailors from passing ships. 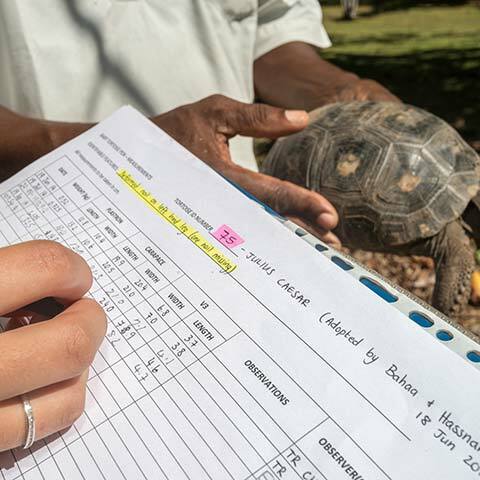 Live tortoises would be taken on board ships to supplement meagre rations. 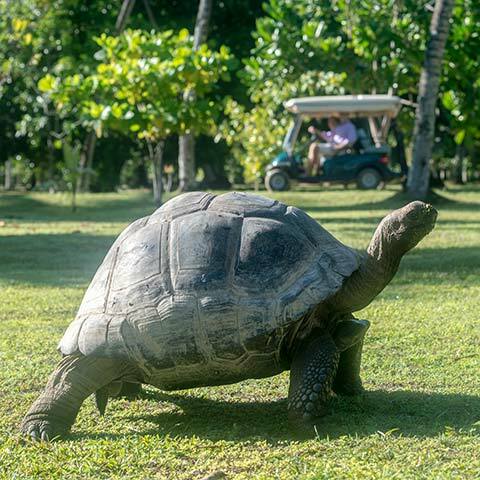 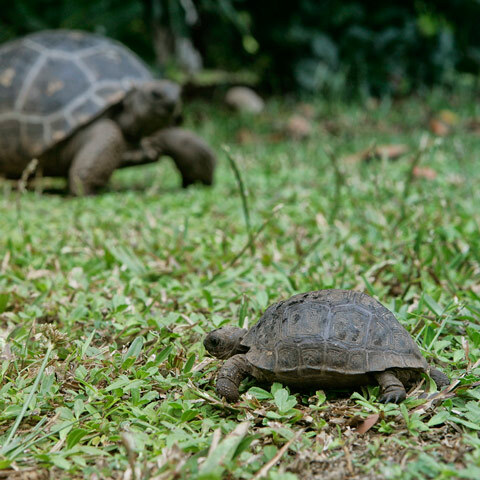 In 1997, only a handful Giant Aldabra Tortoises were left on the island, including the well-known big males Brutus and Patrick. 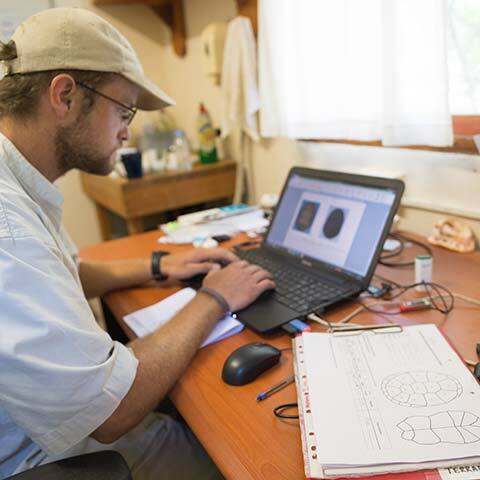 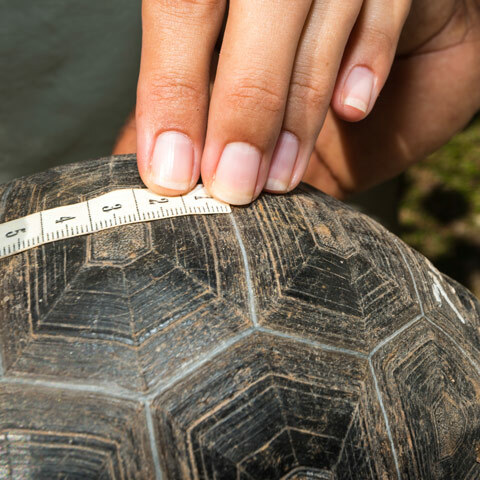 Currently between 80 and 100 tortoises roam North Island free from harm, most of which were donations from other islands, with some as old as 150 years of age. 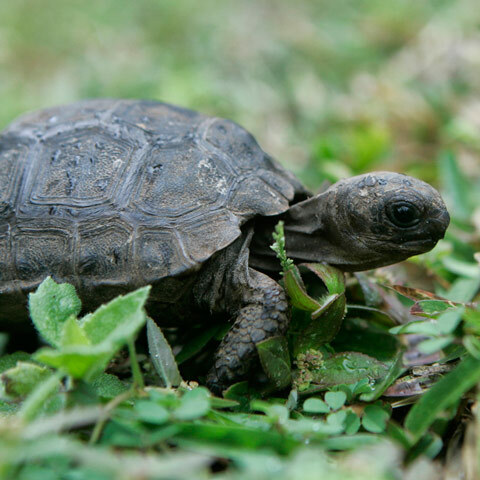 Baby tortoises under the age of two can also be seen in our baby-tortoise pen, where they are protected until big enough to be seen on the roads.